Get outdoors at Seventy-Five Mile Beach and Indian Head. For reviews, more things to do, photos, and more tourist information, go to the Fraser Island trip planner . Newark, USA to Fraser Island is an approximately 27-hour flight. The time zone difference moving from Eastern Standard Time (EST) to Australian Eastern Standard Time (Queensland) (AEST) is 15 hours. Finish your sightseeing early on the 19th (Fri) to allow enough time to travel to Lord Howe Island. 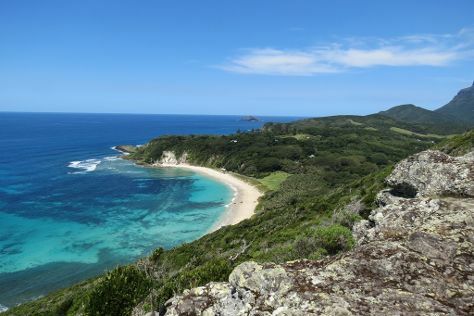 Take a break from the city and head to Ned's Beach and Lord Howe Island Walking Trails. Next up on the itinerary: kick back and relax at Lagoon Beach, explore the striking landscape at Ball's Pyramid, see what you can catch with a fishing tour, and get a new perspective on nature at Lord Howe Island Museum. To see more things to do, photos, traveler tips, and tourist information, go to the Lord Howe Island route maker site . You can do a combination of car, ferry, and flight from Fraser Island to Lord Howe Island in 12.5 hours. Finish up your sightseeing early on the 22nd (Mon) so you can travel to Sydney. Satisfy your inner culture vulture at Sydney Opera House and Darling Harbour. 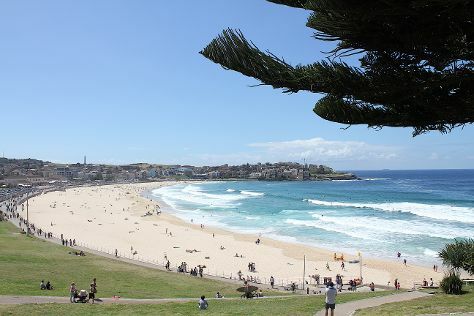 You'll get in some beach time at Bondi Beach and Manly Beach. The adventure continues: wander the streets of The Rocks, enjoy the sand and surf at Clovelly Beach, snap pictures at Sydney Harbour Bridge, and take in nature's colorful creations at Royal Botanic Garden Sydney. To find maps, ratings, where to stay, and other tourist information, refer to the Sydney tour itinerary builder . You can fly from Lord Howe Island to Sydney in 3.5 hours. Expect a daytime high around 73°F in April, and nighttime lows around 59°F. Cap off your sightseeing on the 25th (Thu) early enough to travel to Melbourne. Do some cultural sightseeing at Melbourne Museum and National Gallery of Victoria. Visiting Melbourne Zoo and Balloon Rides will get you outdoors. There's lots more to do: make a trip to Shrine of Remembrance, take in nature's colorful creations at Royal Botanic Gardens, tour the pleasant surroundings at St. Kilda Beach, and take in panoramic vistas at Eureka Skydeck 88. To see other places to visit, maps, traveler tips, and other tourist information, refer to the Melbourne online route planner . You can fly from Sydney to Melbourne in 3.5 hours. Alternatively, you can do a combination of flight and shuttle; or drive. Prepare for slightly colder weather when traveling from Sydney in April: high temperatures in Melbourne hover around 68°F and lows are around 50°F. Finish up your sightseeing early on the 28th (Sun) so you can travel to Uluru-Kata Tjuta National Park. Your cultural itinerary includes sights like Uluru and Uluru Hiking Path. Get in touch with nature at Kata Tjuta and Walpa Gorge. There's still lots to do: identify plant and animal life at Kuniya Walk, explore the activities along Mutitjulu Waterhole, go for a walk through Lungkata Walk, and don't miss a visit to Field of Light. 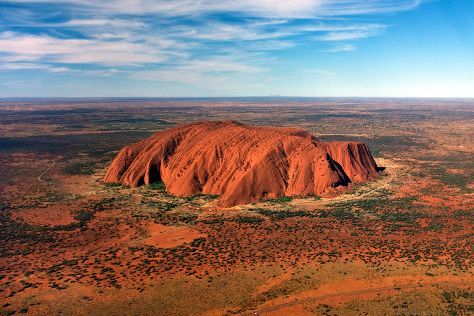 For reviews, photos, and more tourist information, read our Uluru-Kata Tjuta National Park online trip planner . Traveling by flight from Melbourne to Uluru-Kata Tjuta National Park takes 5 hours. Alternatively, you can drive. Plan for somewhat warmer temperatures traveling from Melbourne in April, with highs in Uluru-Kata Tjuta National Park at 84°F and lows at 58°F. Finish your sightseeing early on the 1st (Wed) so you can travel to Jabiru (Kakadu National Park). Jabiru is a town in the Northern Territory of Australia. Yellow Water and Cahills Crossing are good opportunities to explore the local culture. Take a break from the city and head to Twin Falls and Mamukala Wetlands. There's much more to do: don't miss a visit to Bardedjilidji Walk, explore the striking landscape at Nourlangie Rock, and delve into the distant past at Ubirr. To see ratings, photos, where to stay, and other tourist information, use the Jabiru (Kakadu National Park) online travel route planner . Traveling by combination of flight and bus from Uluru-Kata Tjuta National Park to Jabiru (Kakadu National Park) takes 9.5 hours. Alternatively, you can drive; or do a combination of flight and car. Finish up your sightseeing early on the 4th (Sat) so you can travel to Cairns. Visiting Scuba & Snorkeling and Esplanade Boardwalk will get you outdoors. Spend the 6th (Mon) wandering through the wild on a nature and wildlife tour. The adventure continues: kick back and relax at Trinity Beach and take a leisurely stroll along The Jack Barnes Bicentennial Mangrove Boardwalk. To find traveler tips, more things to do, where to stay, and more tourist information, read our Cairns itinerary builder . Do a combination of bus and flight from Jabiru (Kakadu National Park) to Cairns in 10.5 hours. Alternatively, you can do a combination of car and flight; or drive. In May in Cairns, expect temperatures between 82°F during the day and 69°F at night. Finish up your sightseeing early on the 7th (Tue) so you can go by car to Port Douglas. Escape the urban bustle at Scuba & Snorkeling and Wildlife Habitat Port Douglas. Spend the 9th (Thu) spotting exotic species with a safari tour. And it doesn't end there: experience rural life at Hartley's Crocodile Adventures, stop by With Sugar, and explore the galleries of Des Spencer Galleries. For maps, photos, ratings, and other tourist information, read our Port Douglas journey planner. You can drive from Cairns to Port Douglas in 1.5 hours. Other options are to take a bus; or take a shuttle. In May, daytime highs in Port Douglas are 82°F, while nighttime lows are 69°F. Finish up your sightseeing early on the 10th (Fri) so you can travel to Cape Tribulation. Kick off your visit on the 11th (Sat): look for all kinds of wild species at Daintree Rainforest - Cooper Creek Wilderness, browse the exhibits of Floravilla Ice Cream Factory, and then admire the sheer force of Alexandra Bay Waterfall. 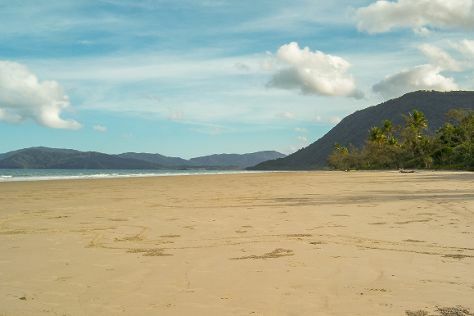 Get ready for a full day of sightseeing on the next day: enjoy the sand and surf at Myall Beach, then enjoy the sand and surf at Thornton Beach, and then kick back and relax at Cape Tribulation Beach. To find where to stay, more things to do, and tourist information, you can read our Cape Tribulation trip planning tool . Traveling by combination of car and ferry from Port Douglas to Cape Tribulation takes 2 hours. Alternatively, you can take a bus. In May, plan for daily highs up to 82°F, and evening lows to 69°F. Wrap up your sightseeing on the 12th (Sun) early enough to travel back home.